Niki Mossböck was born in Graz in 1969. After studying Psychology she worked as an assistant director at Graz’s Theater im Keller. From 1993 to 2000 she successfully completed her studies of editing and camerawork at Vienna’s University of Music and Performing Arts, Film & Television department. 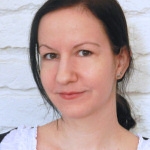 Mossböck now works as a freelance editor in Vienna, Berlin and Sarajevo. Philipp Kemptner studied recording supervision while majoring in Film Sound at Vienna’s University of Music and Performing Arts. 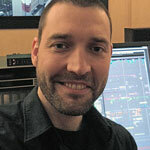 Since graduating in 2003, he has worked at the Tremens-Film sound studio. Kemptner has also been involved in numerous cinematic and TV productions as a sound rerecording supervisor and sound designer. Marie-Therese Hildenbrandt studied Theater, Film and Media Science at the University of Vienna and Filmmaking at the New York Film Academy. Since 2007 she has been involved with various film and advertising productions in a freelance capacity. 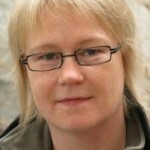 In addition to working on “Schlagerstar” as a location manager she was also the producer of marketing and distribution. Regina Breitfellner studied Theater, Film and Media Science and German at the University of Vienna. Her first work experience in the field of film production was in France and Luxembourg. 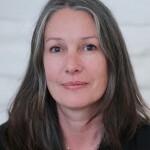 She then managed Mobilefilm Produktion’s office from 2010 to 2012. 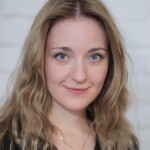 Susanna Wiedermann studied Theater, Film and Media Science and Art History at the University of Vienna. She worked at various museums in Vienna and in the book trade before becoming Mobilefilm Produktion’s office manager in August 2012. 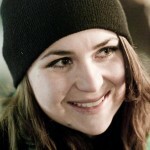 Nina Kusturica studied Directing and Editing at Vienna’s Film Academy. A maker of fiction and documentary features, she has participated at numerous film festivals and received a variety of awards. Kusturica lives in Vienna and works as a director, film editor, screenwriter and producer. From 2003-2013 Eva Testor has been, together with Nina Kusturica, the CEO of Mobilefilm Produktion and one of its producers. She successfully completed her studies in camera and video technology at Vienna’s University of Music and Performing Arts in 2001, receiving her degree under Prof. Christian Berger.